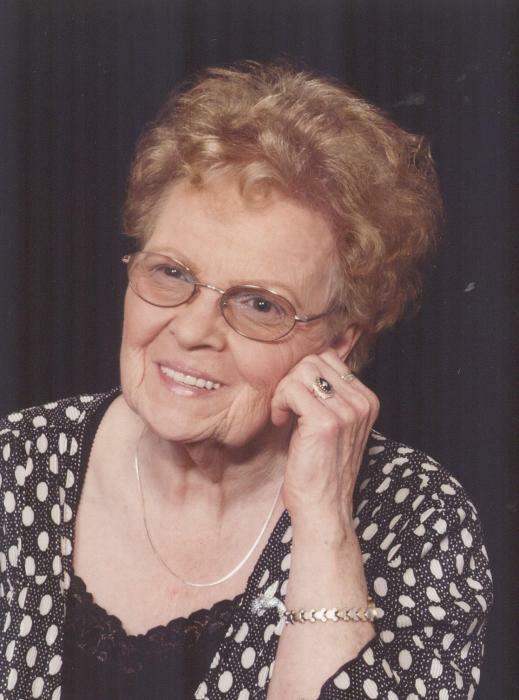 Hazel Mae Mann Kocher, 89, of Yadkinville, NC formerly of Belmont, OH passed away on Thursday, February 7, 2019 at Yadkinville Nursing Center. Hazel was born December 25, 1929 in Somerton, OH, a daughter of the late Charles Luyster and Ethel Neptune Luyster. In addition to being a lifelong homemaker, Hazel worked many years at Sears, Ohio Valley Mall, and at the Carolina Mall Sears in Concord, NC, retiring at age 81. A loving mother, grandmother, and great-grandmother, she will be sadly missed by all. A member of Israel and All Nations Congregation of Yadkinville, NC. In addition to her parents, she was preceded in death by her first husband, Robert "Bob" Mann; her second husband, Vernon Kocher; grandsons, Bobby Mann and Randy Pierce; a sister, Bertha Rae Damon; and brothers, Harrison, Stanley, and James Luyster. Surviving are her daughters, Sue (Brad) Ankrom of Davenport, FL, Janet (Forrest "Frosty") Pierce of Frazysburg, OH, Brenda (Bob) Braido of St. Clairsville, OH; sons, Jerry (Susan) Mann of Coshocton, Ohio, Doug (Shelly) Mann of Yadkinville, NC; six grandchildren, six great-grandchildren, and a brother, Homer Luyster of Barnesville, OH. Friends will be received on Monday, February 11, 2019 from 11 AM until the time of the service at 1 PM at Campbell-Plumly-Milburn Funeral Home, 319 North Chesntut Street, Barnesville, OH, Pastor Randy Stiver officiating. Burial will follow at Ebenezer Cemetery in Bethesda, OH.